Once MobileFirst Analytics support is set up for Push Notifications (see Setting Up Analytics Support), you can create reports about Push usage. 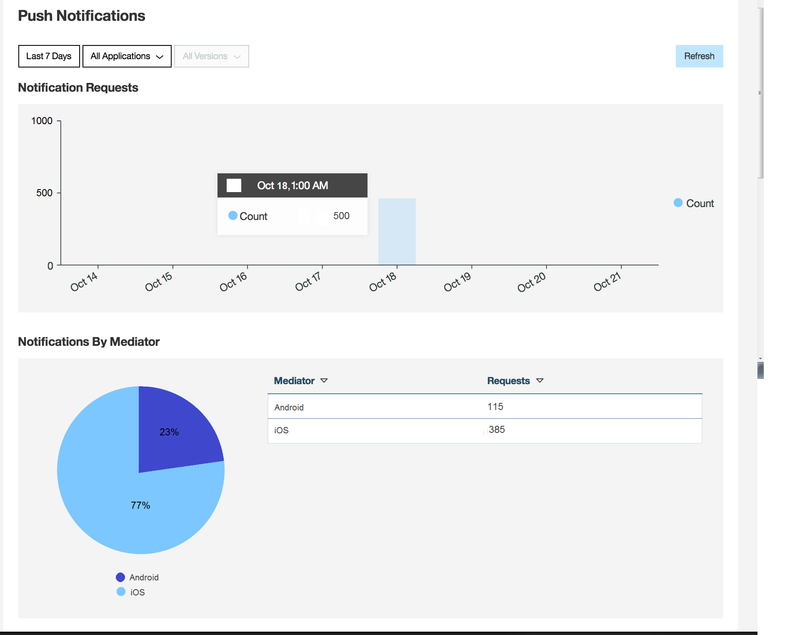 Push Notifications reports become available after Analytics support is configured, and Push events are sent to the Analytics service. In the MobileFirst Analytics Console, choose the Infrastructure section from the navigation bar. Choose the Push Notifications tab. The number of requests is displayed according to the requested period, applications, and versions, broken down by date. The number of requests is broken down by app platform, for the requested period, applications, and versions.